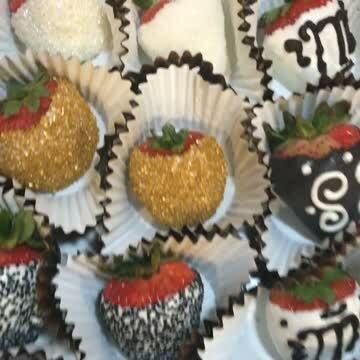 Luxury Sweets is dedicated to supplying your party needs. From cupcakes to personalized decor, you've found the one stop shop. Trust Luxury Treats to provide you with delicious themed sweets and candies, beautiful party favors, and colorful décor to make your celebrations even more fun and exciting. We’re a family-run company that takes delight in seeing that you enjoy your event with our help. Our expertise is built on our personal experience as party hosts, and you can count on us to treat your occasion as if we’re the one hosting it. Call our team at Atlanta, Georgia now and let’s start working on what you need for your upcoming party!